As I’ve designed Kronocalypse, I’ve looked for ways to bring the time-travel theme in even when characters are jumping from one age to another. Until recently, I was also playing in a Deadlands campaign. In that setting there are a few different kinds of Bennies, or Fate Chips as they are called in Deadlands. The different Fate Chips have different benefits, including adding 1d6 to any Trait roll. For the most part, in this design blog I’ve written about decisions I’ve already made for Kronocalypse. This time I’m going write about something that’s still in flux. The race formally known as cat people, which now has the working name felinoids. The concept of felinoids began when I decided I wanted non-human species in the Steam Age that the human empires had colonized. I didn’t want to use the standard fantasy races, so I opted for the previously described tree folk and a race of cat people, because… well… who doesn’t like cat people? Savage Worlds has a standard race of cat-people called rakashans, which I could have gone with. The problem is they are kind of jerks. Or at least, they are frequently portrayed as antagonists in the meta-plots. They also start with Racial Enemy and Bloodthirsty Hindrances, which are not especially PC friendly. So I decided to create something similar, but not quite the same. I developed some history for them, how they once ruled a great empire of their own, but due to infighting and natural disasters, it collapsed centuries before humans came to their continent. Their reactions to the human colonizers are more diverse and more extreme than the tree folks’. Some felinoids take up arms against the humans, while others joined with humans working on the airships that fly too and from their native lands. At the same time I debated just how strongly the cat people resemble cats and how much they look like humans. 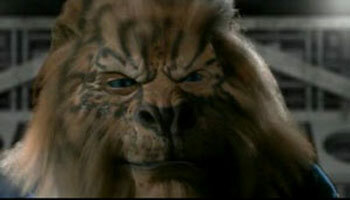 On one end of the spectrum there are the very feline creatures like Kimahri from Final Fantasy X or the Kilrathi from Wing Commander. On the other end of the spectrum, there are the ubiquitous cat girls of anime, who basically are just humans with cat ears and tails. 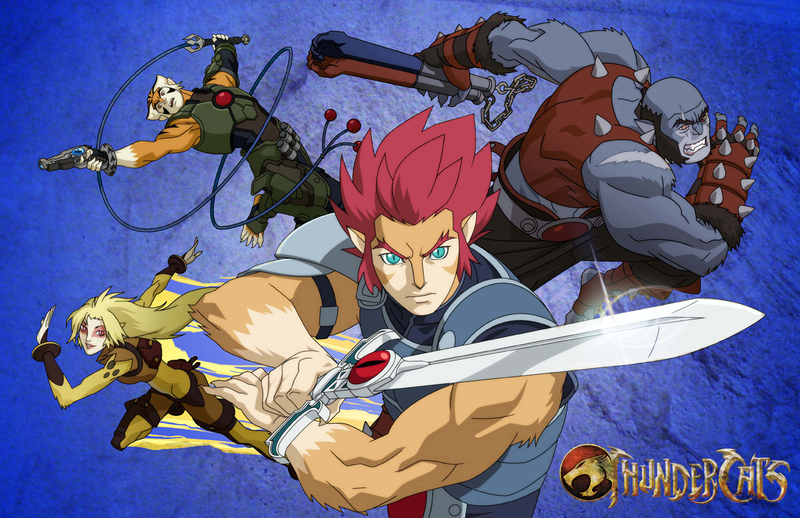 There are plenty examples of characters in-between too, like the Thundercats in both their original and reboot incarnations. Cat-Like Reflexes: Felinoids begin with a d6 in Agility. Claws: Felinoids have claws that deal Str+d6 damage. These claws also help them climb, granting them a +2 bonus to Climbing rolls. Bloodline: In addition select on of the following bloodlines. Lionan: Lionans are the most social of the felinoids. They gain a +2 bonus to Charisma. Tygran: Tygrans are the fiercest warriors of the felionids. Their claws deal Str+d8 damage and have AP 2. Jagaran: Jagarians are the most spiritual and intellectual of the Felinoids. They gain 5 additional power points when taking the Magic, Miracles, or Weird Science backgrounds. Additionally they can begin play with the Miracles backgrounds, though the begin without any great kami (they still have the summon alley power). Cheetaran: Cheetarans are the fastest of the felinoids. They have a pace of 8, and roll a d12 for their running die. In past blog posts, I gave some big-picture looks at the Kronocalyse setting as a whole and looked at the Steam Age in particular. Today we’ll focus in on a small slice of the Cyber Age, Unprotected Zone 8934. From magical swords, to cloaks of invisibility, magical gear is a common trope in fantasy fiction. Thus its not surprising that such items are also common in fantasy roleplaying games. Unfortunately, this can go a little overboard, and sometimes in RPGs characters end up decked out with so much magical swag that the individual items lose their specialness. First of all, we launched the Kronocalypse Kickstarter campaign yesterday. If you haven’t done so, go check it out! Now on to the design blog. Roleplaying games have some pretty fantastic locations, from floating cities to crystal forests. Though it turns out Earth has some pretty cool locations too. Some of them are so cool that I had to incorporate them into the Kronocalypse setting.